The Laura-Ann is Florida Sportsmans "Dreamboat". Captain Charlie posted pictures of the entire build on the FS Forum and was rewarded with a trip to Costa Rica! She's an Old Pro 24 (1982 24' Proline flatback) customized by Coarsey Fiberglass Unlimited. 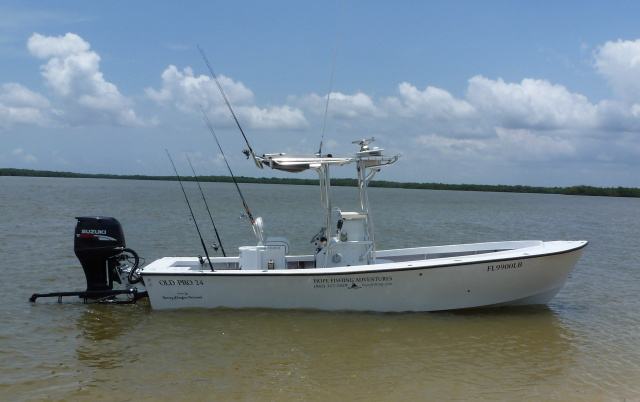 If you're interested in fishing the near-shore reefs, this boat will get you there in comfort. She has been completely restored from the bottom up and fully customized to ensure a perfect day on the water. 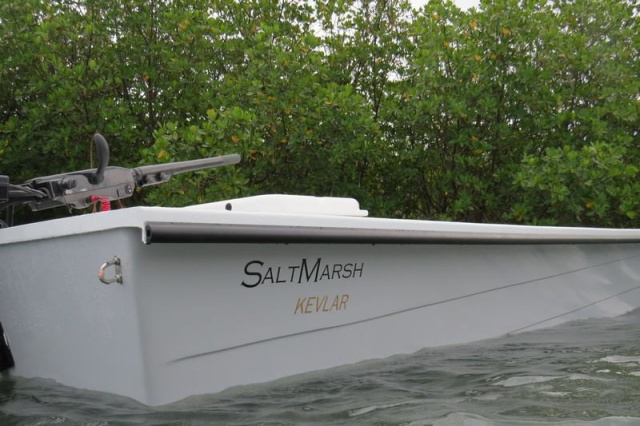 Launched February 2015, the 16' Salt Marsh Skiff is right at home in the rough backcountry of the Everglades/Ten Thousand Islands. Both vessels are equipped with the best electronics and safety gear available, including satellite tracking in the event of an emergency. I am also a certified First responder and CPR qualified. Hope Fishing carries all the required licenses, permits, and insurances, including the Everglades National Park license, insurance, and state fishing license(s) for all guest who come aboard. Book your Everglades ADVENTURE now!